The University of Illinois at Chicago is working with the Illinois and Cook County departments of corrections to establish its community health center in Chicago’s Humboldt Park neighborhood as a medical home for individuals transitioning from secure custody and parole back to community life. 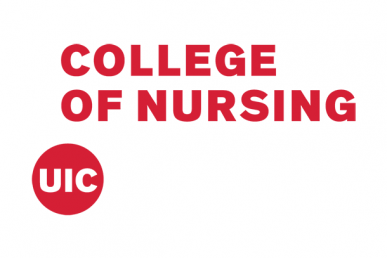 The goal of the initiative, which is led by the UIC College of Nursing, is to reorient people living in a transition center and those recently released from custody to the health care system and reduce the poor health outcomes experienced by this population. Formerly incarcerated individuals have high rates of certain chronic conditions, such as asthma, diabetes and hypertension, for example, and these conditions can often include substance abuse and mental illness. Program leaders say introducing former offenders to affordable and comprehensive primary care services during their transition back to community life can help ensure this high-risk population is empowered to get care. 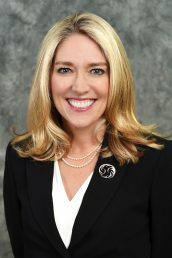 Corbridge, who is spearheading the program on behalf of the college, says that while medical needs persist, former offenders, who may have adapted to the presence of in-house medical care and may have difficulty navigating health insurance enrollment and accessing care, are likely to prioritize other needs above their health. In many cases, formerly incarcerated individuals may also be members of marginalized communities, which are known to lack access to care and health education. As a result, studies have shown that former inmates have higher rates of emergency room visits and hospitalizations, which are just “very expensive, ineffective Band-Aids to most chronic conditions,” Corbridge said. “This program is about reaching an at-risk, overlooked population with options for getting the high-quality care they need,” she said. Former offenders who are involved with the program from the Illinois Department of Corrections reside in one of two adult transition centers located in Cook County. Within one week of their move from secure custody to a transition center, the residents are scheduled for appointments at UI Health’s Mile Square Health Center clinic in Humboldt Park, which is located at 3240 W. Division St. During appointments, nurse practitioners provide comprehensive assessments to begin addressing the individual’s medical needs, both physical and mental. Previously, residents were transported to emergency rooms in Chicago for primary care. Program leaders say this was an inefficient use of health care services, as it is more common for residents of the transition center to need help managing chronic conditions rather than help with acute conditions or emergency health care situations. “Our goal is to ensure there is no gap in care, and that patients have a place they can go to find providers who can meet them where they are at, partner with them to make decisions and, ultimately, ensure they have support and access to the tools they need to meet their health goals,” Corbridge said. The Humboldt Park clinic is one of the few federally qualified health centers in Chicago practicing an integrated health model by offering mental health services alongside primary care, something Elizabeth Raleigh says is important for many individuals who have been incarcerated. Raleigh, director of business development, clinical operations and community relations at the UIC College of Nursing, works with Corbridge and the clinic to run the navigation program for former offenders. Students from the College of Nursing engage with individuals who are detained in Cook County through health education and wellness programs at the jail, and clinic staff engage with recently released individuals at the West Town Strength and Wellness Center, which is run by the Cook County Sheriff’s Office. To date, the clinic has worked with more than 65 individuals formerly detained in Illinois and Cook County jails. More than one-third of those patients have returned to the clinic for additional care or health maintenance. This work is part of a larger effort by the UIC College of Nursing to address health disparities that exist alongside the criminal justice system. Additional initiatives include health care quality improvement projects throughout state corrections centers.